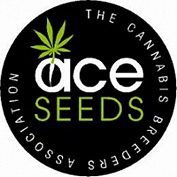 ACE'S best incensey Purple Haze mother pollinated by Panama male selected for latest reproductions. Leaves and flowers fill with beautiful red and purple, typical purple haze appearance. Some plants also show the classic Panama's pinkish pistil. Dark, hashy, incensey aroma with woody spicy touches. Blackberry-black liquor background. Very powerful, happy and psychedelic effect. Phisically and mental stimulant.